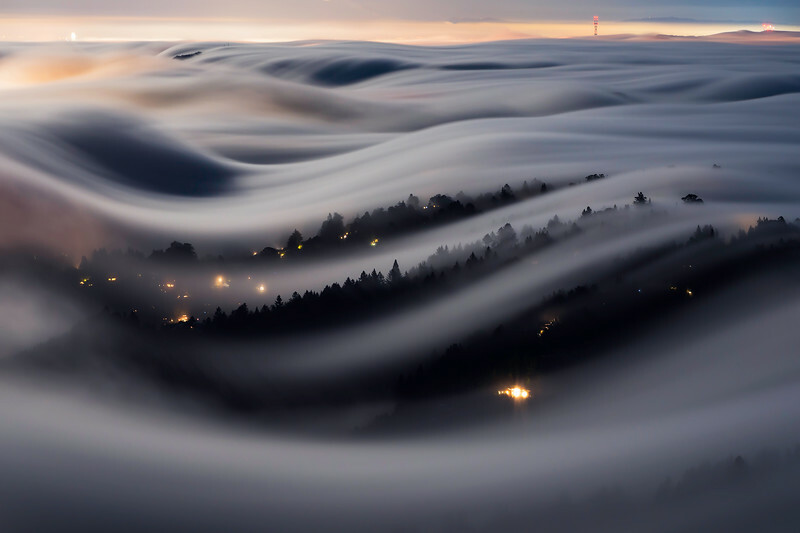 Chasing fog under the full moon. 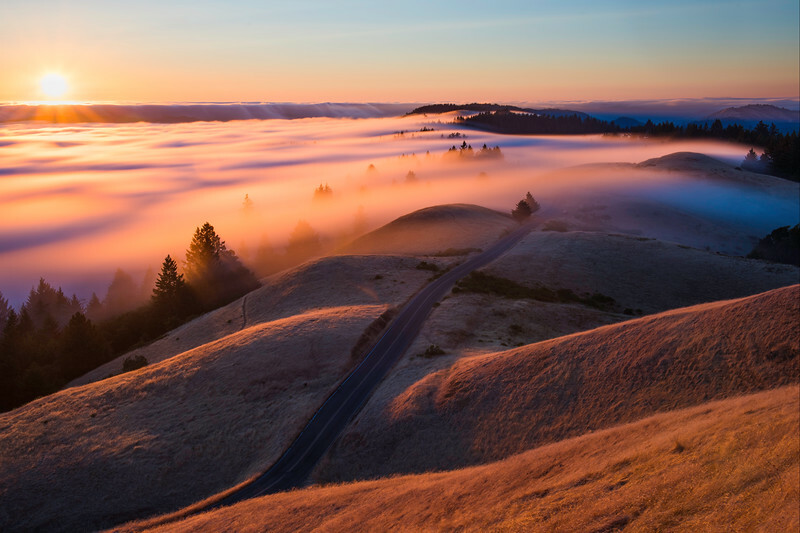 Taken in the Summer of 2017 on Mt.Tamalpais State Park. The fog was pretty high the whole sunset and then the fog dropped beautifully and exposed these nice trees right before it got dark. 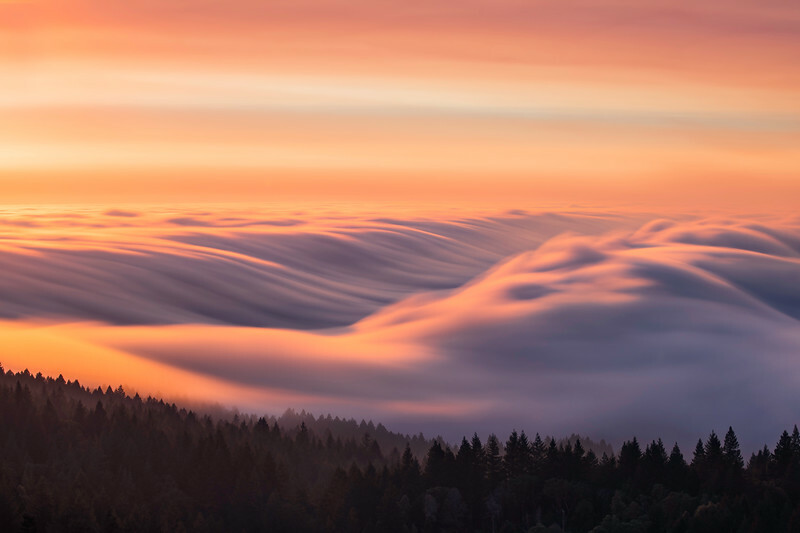 Glorious and dreamy fog flow in the Summer of 2016. What I love about fog is no two days are ever the same. 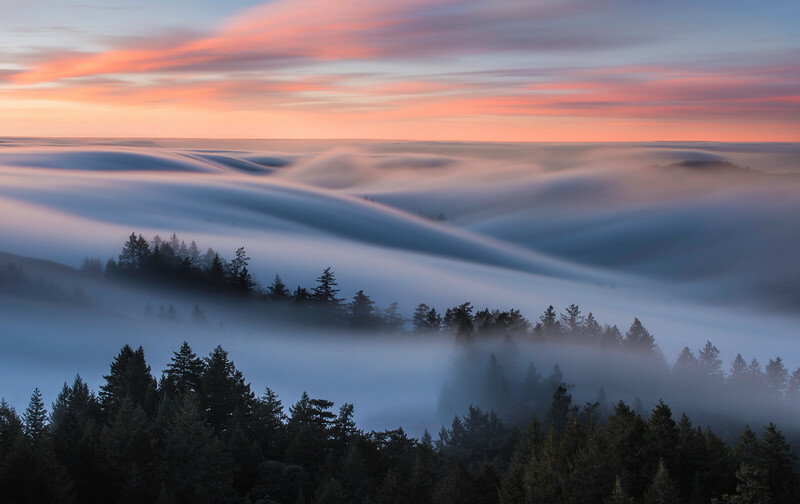 This is what I call, "subtlety of movement" where there are small windows of opportunities with the fog as it rushes in and undulates. This day was no exception as the flow was so beautiful and ephemeral! 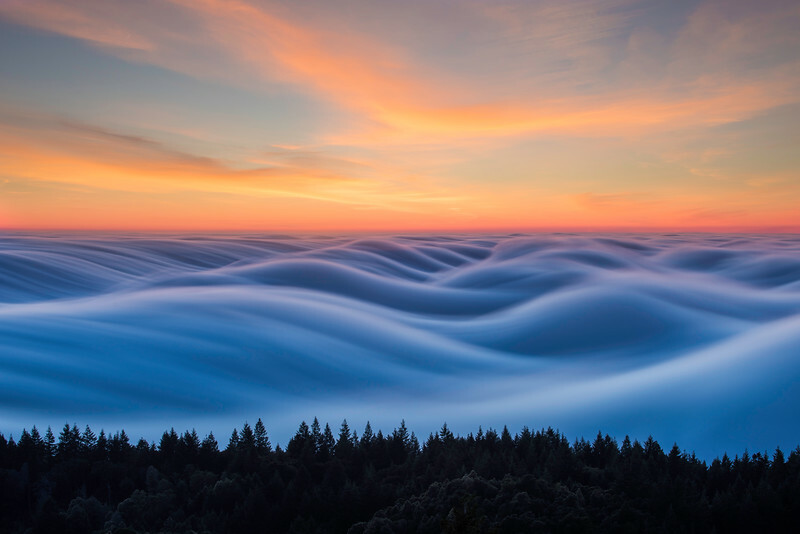 The epitome of epic fog waves on this glorious 2017 Summer evening. 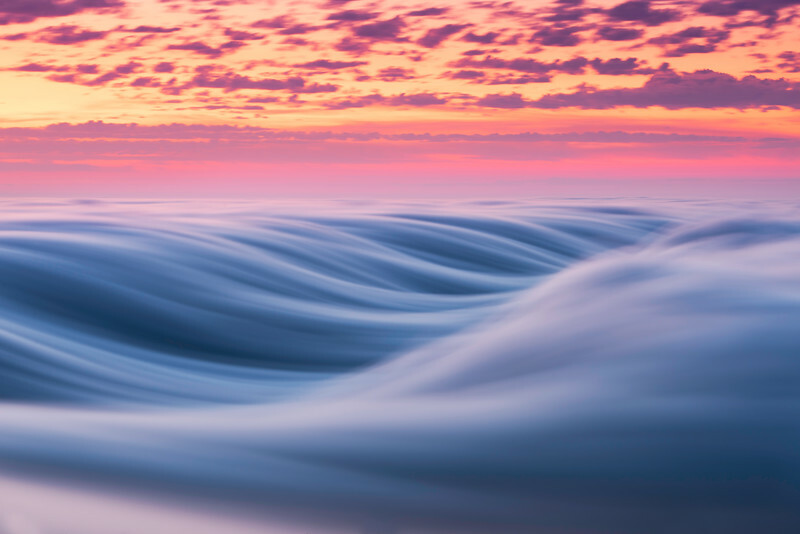 The clouds and fog reminded me of cotton candy. 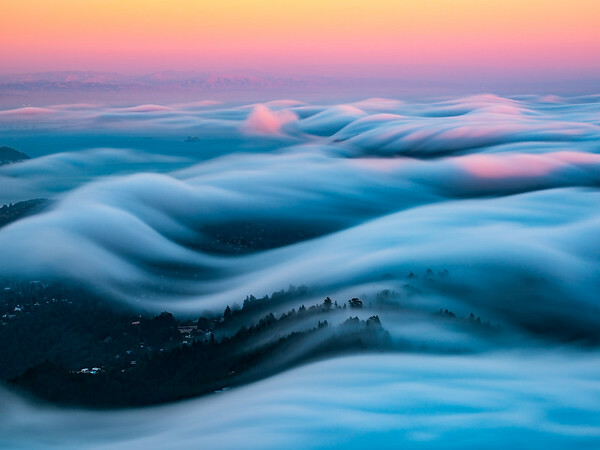 This was one of my original shots I entitled, "Fog Waves" as the fog creates wave-like movements as it contours and sweeps across the land. This was a very magical evening up on the mountain. 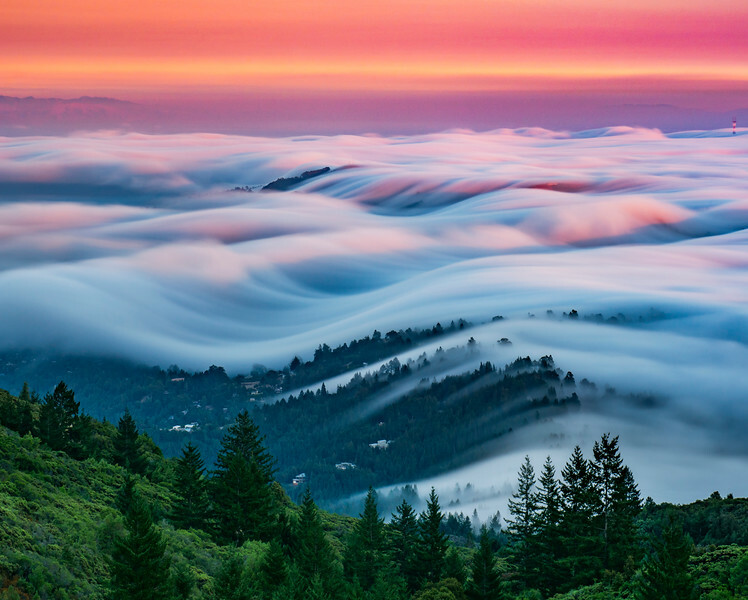 Out of nearly daily trips up there in the Summer of 2016, this was by far the best fog flow i've seen up there. One of my favorite views in my backyard. This was such a beautiful evening. 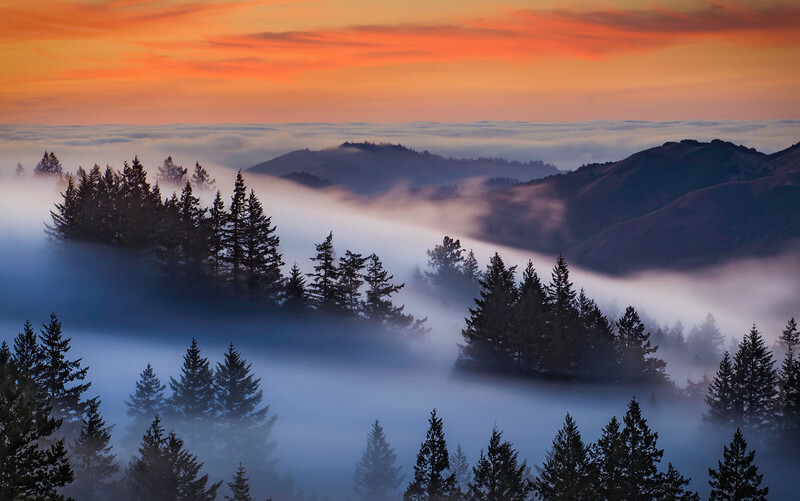 I went up to Mt.Tam on a whim and wasn't expecting much but the fog came through at the perfect time around sunset and was the only one on the mountain at that moment. Felt as if I were awake in a dream! 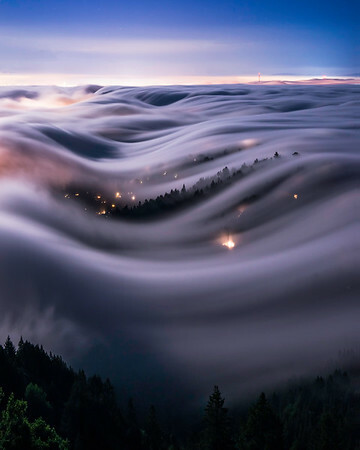 Fog waves at night under the full moon.